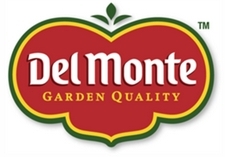 Del Monte Corporation has responded to Del Monte International’s lawsuit over the .delmonte top level domain name. Calling the lawsuit “ill-conceived”, Del Monte Corporation (DMC) has asked the court to dismiss the case. Indeed, the way Del Monte International (DMI) went about disputing a World Intellectual Property Organization ruling was rather silly. DMI applied for the top level domain .delmonte. Del Monte Corporation filed a legal rights objection against the application and won. That’s when DMI filed a lawsuit in U.S. District Court in California to try to overturn the legal rights objection. That DMI was upset about the decision and wanted to challenge it in court isn’t weird in and of itself. It’s the content of its lawsuit that was baffling. It appears DMI took the typical lawsuit filed by a losing respondent in a UDRP and changed a few of the sentences around to apply it to new top level domains. DMI asked the court to declare that it was not in violation of the Anti-cybersquatting Consumer Protection Act by seeking to register the TLD .delmonte and to order DMC to withdraw its (already closed) Legal Rights Objection against DMI. DMI claimed jurisdiction in U.S. District Court in Central District of California based on the UDRP’s “mutual jurisdiction” guidelines. DMI stated that “jurisdiction is proper in this court, because the Registrar with whom the Application was filed, the Internet Corporation for Assigned Names and Numbers (“ICANN”), is located in Marina del Rey, California”. …The relief DMI seeks is not the type of relief any federal court can grant. DMI’s request for a declaration of “bona fide” trademark rights in the DEL MONTE mark seeks to have the Court issue an improper advisory opinion and to evaluate a foreign trademark registration, both of which are beyond this Court’s jurisdiction. Similarly, there is no legal basis and no live controversy for this Court to assess whether DMI’s registration of the .delmonte TLD would create an “impermissible likelihood of confusion,” a standard that does not appear in U.S trademark law, or to issue an order for Del Monte to withdraw a Legal Rights Objection that the World Intellectual Property Organization resolved over two months ago.